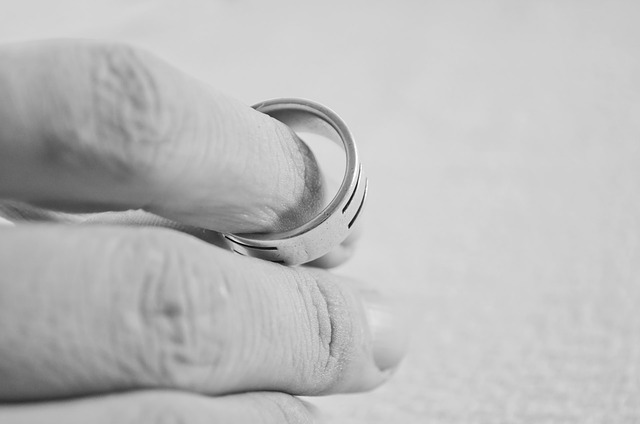 At Bowes-Lyon Partnership we have many members who have gone through the divorce process and are concerned about safeguarding their financial future. Solicitor Muna Saleem from Crisp & Co offers our members some great advice and a step-by-step guide of the important points to consider. The emotional turmoil of an impending divorce is more than enough to deal with. Throw into the mix the stress and worry of dividing your home and finances, and it’s easy to see why divorce proceedings so easily descend into acrimony. If you’re separating from your spouse, particularly one who has been the main breadwinner in your marriage, you’ll need to take some important steps to safeguard your financial future and ensure you don’t lose out. For a lucky few divorcing couples, splitting up will be as simple as paying the relevant fees, filing a few documents and throwing their share of books and CDs in a suitcase. But figures show the average age at divorce is 45 for men and 42 for women, so most divorcees will have joint bank accounts, debts and co-own a home together. Crucially they may also have children together and learning to co-parent in a way that is best for your children is a challenge unto itself. Children aside for the moment though, it’s likely your financial matters will have settled into a tangled but easy convenience. It will make things easier in the long run therefore, if you can talk through your joint finances with your partner. In other words, see through the red mist and try to attend to the red tape. Bills and banking – try and agree to maintain the status quo for the time being. At this stage, as long as one partner isn’t unfairly paying more than the other, the less you change the better. Avoid debt – chances are you’ll now be budgeting for two households instead of one. Be sensible about your expenditure and resist relying on debt to see you through. If you suspect a partner is going to accrue debts on a joint credit card or account, take steps to prevent this by talking to the credit card company or bank. Protect your share in joint assets – if acrimony is unavoidable and you’re worried about your partner selling off jointly owned assets, you should consider engaging divorce law experts with a view to getting an injunction. Before you can think about securing your long-term future you need to assess your joint assets, consider how you might divide them, and roughly plan out your likely needs (and those of your children) going forward. Each of you should pull together your financial information – called ‘financial disclosure’ – and exchange it, either informally, through a mediation service or through divorce lawyers. If the courts are already involved, there is an official form for this. Pensions – you may be entitled to a portion of your partner’s pension. There are various ways of dividing them, but it’s best to get expert advice. Incomings and outgoings – how much do you earn and will your ability to earn be affected by your divorce? What do your financial needs and future living expenses look like? Jointly owned businesses – again, you may need to contract a divorce lawyer for help with this. Dividing and valuing a joint business is difficult, and is a major reason for divorce proceedings turning sour. Gifts between spouses – these are not subject to capital gains tax, but will be once you are divorced. Legally ending your marriage is – relatively speaking – the easy part. Arranging the financial settlement is usually the tough bit. As before, the more you are able to communicate and agree upon, the easier – and less expensive – proceedings will be. In an ideal world, you will agree between yourselves on how to split things up, with some guidance from the courts. Dividing your home – how it will be split will depend on your circumstances, and how your home is owned. Future home provision for your children will be paramount. Ownership might remain unchanged, with one of you being granted permission to remain until your children grow up; the property might be sold and the proceeds divided; or one person might choose to give up their share for a larger share of pensions or savings. Maintenance – the courts can order the ex-spouse with the higher earnings to make regular payments to the other. Payments stop if the spouse remarries or enters a civil partnership. You can take out life insurance on your partner to safeguard maintenance payments in the event of their death. Child maintenance – research shows that family breakdowns affect women and children most, and single parents often struggle to meet essential bills and put food on the table. Hiring a divorce lawyer experienced in helping single parents is one way to go if you can’t agree between yourselves on child maintenance. The Child Maintenance Service can also help. Pensions – dividing a pension can be complex, and it’s sometimes done as part of the home settlement deal (called ‘pension offsetting). A pension can also be shared by splitting it into two funds, giving each partner a pot for the future, or it can be ‘earmarked’, meaning the pension holder agrees to have a portion paid to the other party when the pension starts paying out. If you’re hoping for a share of an earmarked pension, be wary of this loophole which has seen many stay-at-home spouses lose out. About the Author: Muna Saleem is an associate solicitor with Crisp & Co, a Family Law firm with offices across the South East. She is an accredited member of the Law Society’s Family Law Panel, practicing in all areas of private family law from divorce and financial settlements to cohabitee disputes and children matters such as Child Arrangement Orders and international Relocation Applications. You can connect with her or any of Crisp & Co’s solicitor’s via Facebook or call them on 020 3468 6721.